Docker has emerged as perhaps one of the most important technologies of this decade. It has been said that Docker is to virtual servers what virtualization was to bare metal servers. A quantum leap was made when we went from designating one server for individual tasks to the virtualization of servers which could then used for multiple tasks. Docker containers are the next chapter in this story. Instead of having multiple virtual machines (VMs), you can have many containers within each VM. Each of those containers can be allocated for a different use. Want to know the best part about containers? They are far more efficient than ever before. 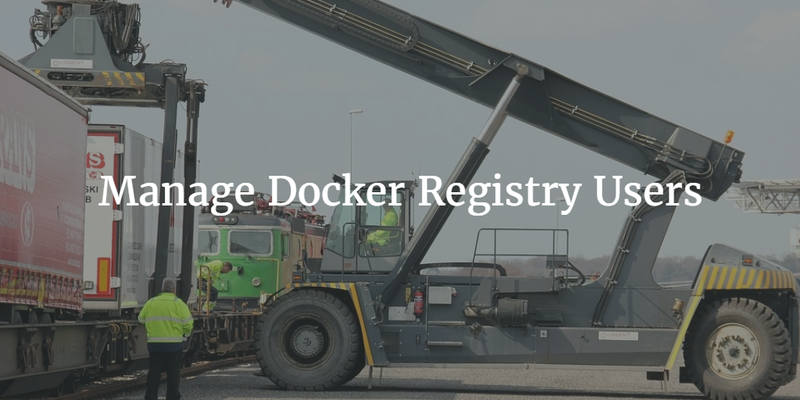 Docker has recently added the ability to manage Docker Registry users with LDAP. Docker containers are managed from a central solution. In Docker’s case, these solutions include Docker Registry, Docker Trusted Registry, and Docker Hub. The goal of these solutions is to provide the management layer for leveraging Docker’s open source container platform. While containers can be easily created, the challenge lies in being able to effectively manage them. It is critical to the production environment and security to assign which users can create, modify, and deploy containers. Just as production access is tightly controlled with bare metal and virtual servers, access must be limited to those that truly need it in the Docker container world. To accommodate for this vital part of the management platform, Docker opted to give organizations the ability to connect Docker to the core user management system in place. Docker chose to be able to connect to LDAP and Active Directory. The challenge for organizations with those two solutions, of course, is that they are generally hosted on-prem while the Docker infrastructure is usually located in the cloud. As a result, Docker users are searching for a cloud directory service that matches their Docker deployment model. The ideal scenario is that the directory service is cloud hosted and operated ‘as-a-Service’ to give the organization as much flexibility as possible. A new generation of hosted directory services has emerged. It is called Directory-as-a-Service. The SaaS-based directory service lives in the cloud and functions as the core user store for organizations as a whole. It connects users to systems, applications, and networks all from the cloud regardless of the location of the resource, protocol it leverages, or platform. The goal of a hosted directory service is to be independent and connect to everything a user needs. As such, connecting to Docker via LDAP is a core part of the solution’s functionality. In fact, virtual LDAP servers are hosted through a global network, allowing any LDAP-based application to securely authenticate users. IT organizations simply add their users to the user database and give them the proper permissions while the outsourced directory platform does the rest. If you would like to connect your Docker infrastructure to your directory service, but don’t want the heavy lifting, take a look at JumpCloud’s LDAP-as-a-Service functionality. That, along with the other core components of Directory-as-a-Service, may help you to off-load the heavy lifting of building a high-availability authentication platform. Also, feel free to give DaaS a try for yourself by signing up for a free account. Your first 10 users are a free forever.